Motorists were in a pinch after load of crabs spilled onto a Virginia street Saturday afternoon. The driver hauling the crabs ran off the roadway, then attempted to overcorrect, according to Hopeton, Virginia emergency responders. The driver had to be extricated from the truck, but he sustained only minor injuries and was treated by EMS at the scene. 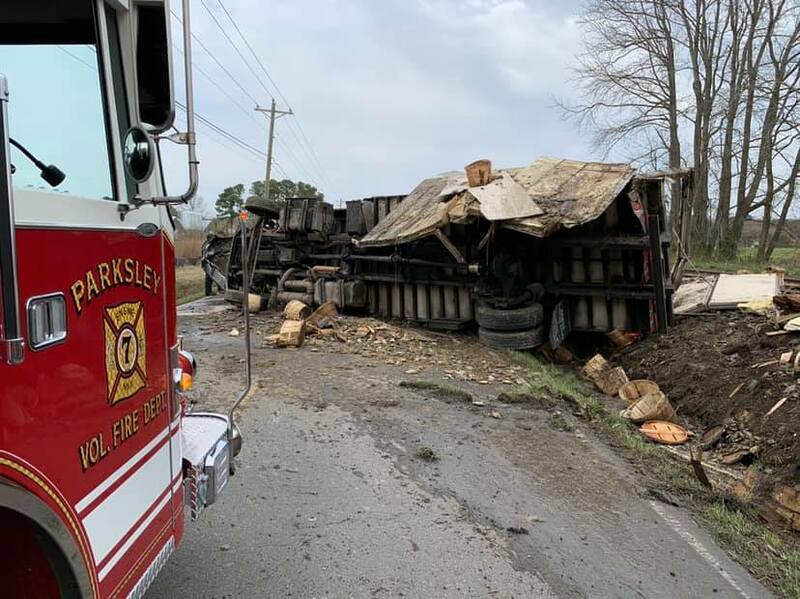 Parksley, Virginia Volunteer Fire Company responded to the scene and assisted with cleanup. Aaron Pennell Adkins commented on the fire company’s Facebook status about the incident, claiming the driver was his brother. Adkins said his brother made it out of the accident “fine,” but many of the crabs were not so lucky. “Some [crabs] actually survived. Some have road rash. I wouldn’t eat those,” Adkins quipped. Crabs were not the only food product spilled Saturday. Further north in Wisconsin, spilled milk closed a roadway down for several hours. The highway was flooded with milk after the truck hauling it was involved in a multi-vehicle accident Saturday morning. The milk truck was overturned in the crash, which happened around 11:30 a.m. in Menasha, Wisconsin. A total of four vehicles were involved, and two people sustained non-life-threatening injuries as a result of the accident, according to Menasha Police Department. It took emergency responders about three hours to clear debris from the crash, including the milk, from the roadway.